I recently received a big box of new craft goodies from Lori Whitlock's new collection for Echo Park. It's called "Happy Summer". You guys know how I love warm weather and long summer days! I just had to start creating something fun to show you today. 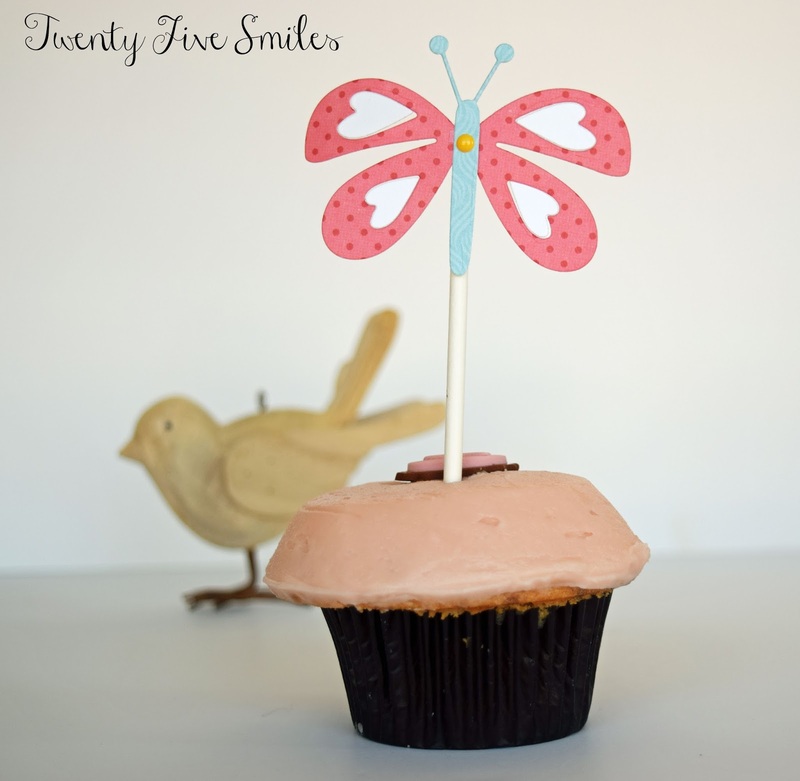 I simply whipped up a DIY cupcake topper. It was so easy to make too! 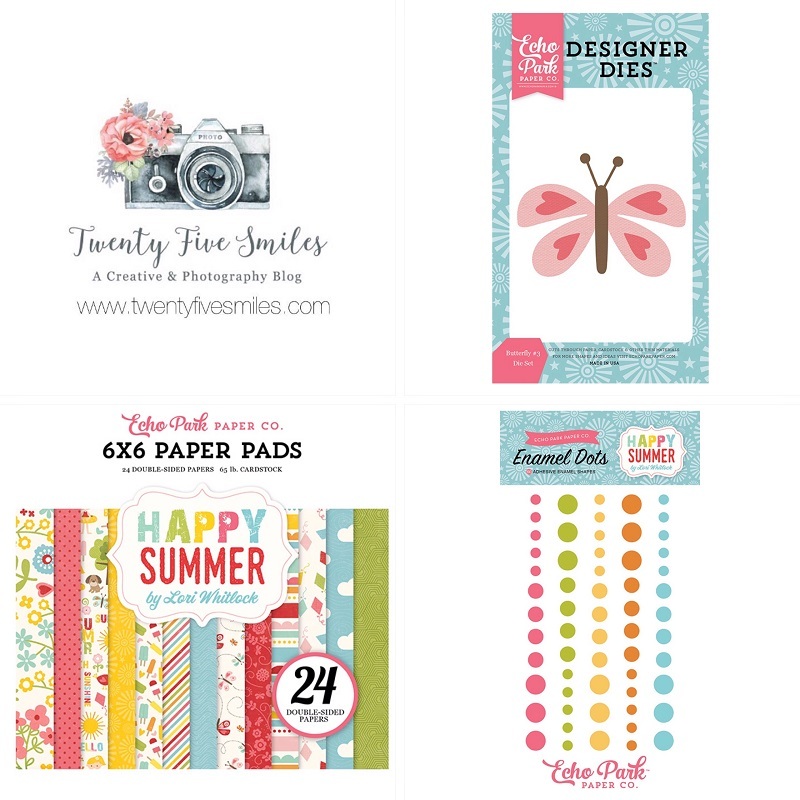 I used the Happy Summer 6 x 6 paper pad and the Butterfly #3 Designer Dies in my manual die cutter. I used different shades and patterned paper to make it a bit more colorful. 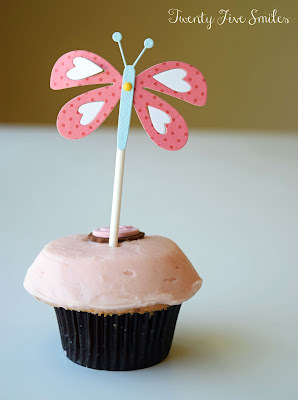 After assembling your butterfly simply use a small piece of washi tape and attach it to a lollipop stick. Place it in your cupcake and you are good to go! Here's a look at this fun collection. It's so bright and colorful. It will be one of my faves for sure! Oh my gosh Angi, this is beyond adorable! So sweet and pretty!